Established in 2008 and originally named Wahanda — which means “The Great Creator Spirit” and comes from Native American Indian plains tribes — Treatwell is the leading online booking platform for hair and beauty in Europe. It’s like OpenTable but instead of making a restaurant reservation, you make a spa or salon reservation. The American equivalent of this service also exists and is called StyleSeat. 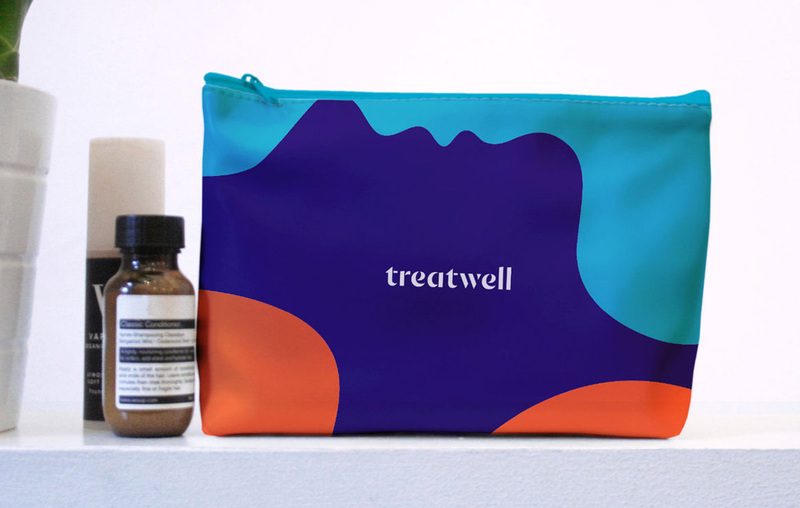 Headquartered in London, Treatwell employs over 500 people across Europe and has over 20,000 salons and spas listed, booked by 10 million people last year. In June of 2015 Wahanda purchased Dutch competitor site Treatwell, that had been around since 2013. I’m guessing market research showed that Treatwell had more equity than Wahanda and may be one of the reasons they changed their name. 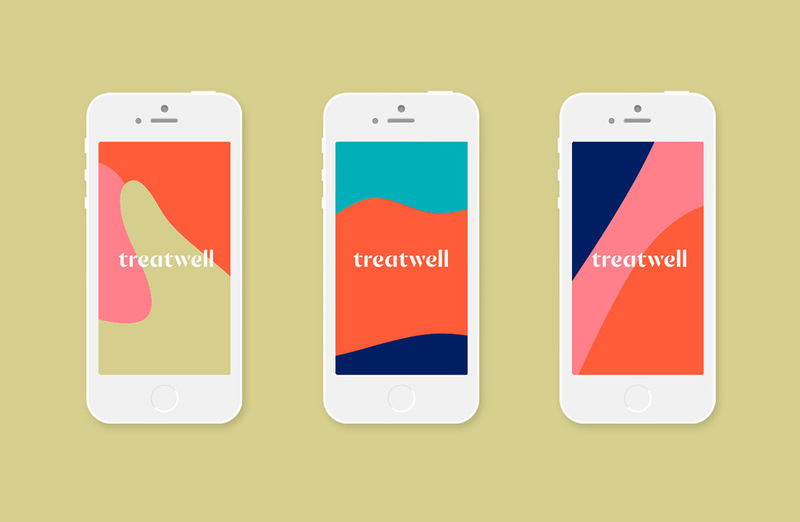 Alongside the new name, Treatwell introduced last week a new identity designed by London-based DesignStudio. The new identity mixes illustrations and photography to reflect the energy of the brand with expressive lines evoking movement and body gestures. Alongside this the new wordmark presents clear brand identification in all the countries Treatwell is operating in. The previous Wahanda logo looked and sounded like a tea brand and the execution was paltry with the giant lemon drops. 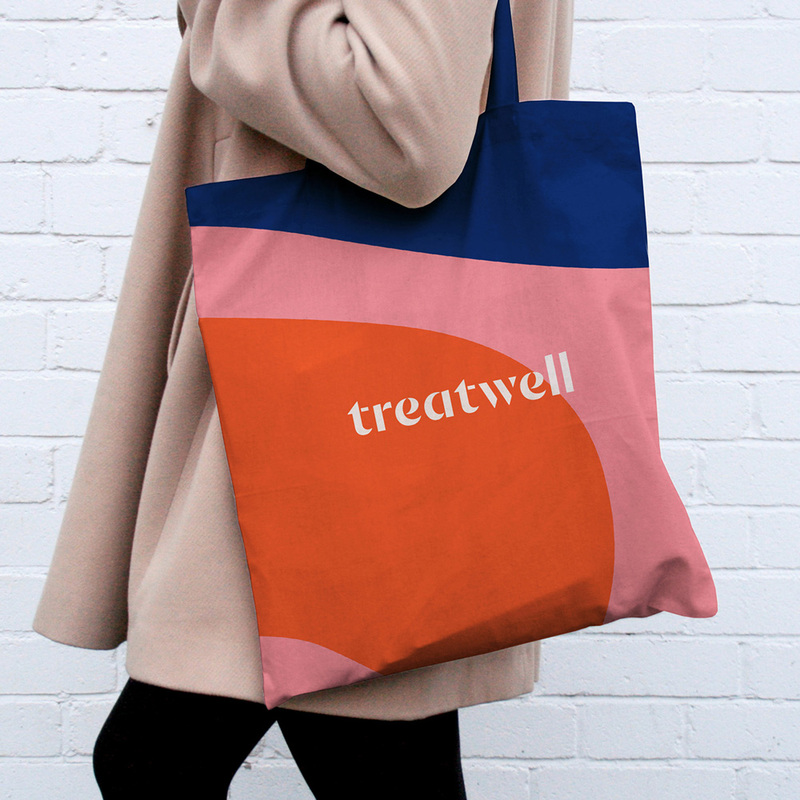 The old Treatwell logo wasn’t any better, with a heavy script and unappealing corporate blue color. The new logo is undeniably a vast improvement over the old ones. It’s a very nice serif-ey-sans-serif-stencil with pretty “e”s but the problem is that it looks like a dozen other beauty- and fashion-related products/services/companies that use the same Dala Floda style of lettering — including the aforementioned StyleSeat, which is basically the U.S. competition. (See also LaserAway and Stylight Reviews on Brand New.) So, as nice as it is, it leaves a lot to be desired in terms of originality in either execution or approach within the beauty industry. 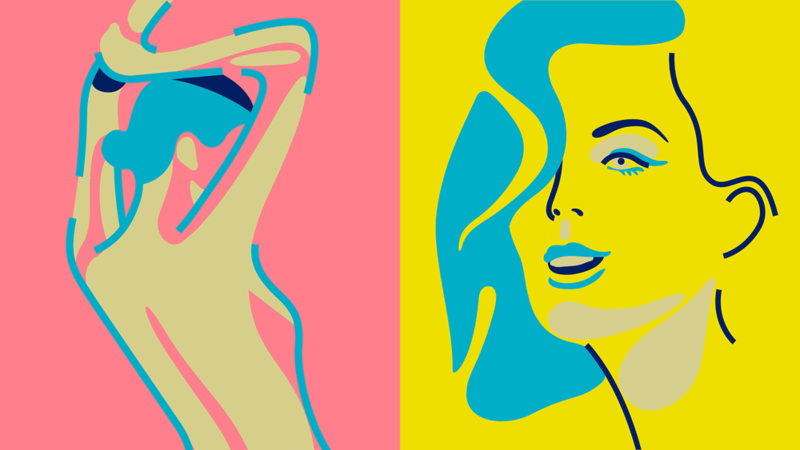 Abstract body shapes and patterns are used across the website, app and brand communications, alongside photography that reflects the unique style of all the different customers and salons. The additional identity ingredients begin to add some uniqueness to the project, through some heavily abstracted illustrations and backgrounds that establish a visual language. I’m not a big fan of the body illustrations as they feel primitive but not in the right way. The background patterns are more interesting and look nice, mostly thanks to the color selections that do feel particularly beauty-related. There is also a custom geometric sans (mentioned in the video) that, yeah, looks like a dozen other custom geometric sans. At this point, I’ll settle, again, for more Circular. In application, the thick lines from the illustrations are applied to photographs and is also the start of something interesting but, for now, it feels shy and slightly underdeveloped. If this were pushed into more of a Memphis-style exuberant application it could get cooler quicker. The curvy backgrounds look great to hold the logo in the prototype bags shown above but producing those is going to be expeeeensive. Overall, this is very well done and it fits the mold for a beauty company — too bad it doesn’t break it. Established in 2008 and originally named Wahanda — which means \"The Great Creator Spirit\" and comes from Native American Indian plains tribes — Treatwell is the leading online booking platform for hair and beauty in Europe. It's like OpenTable but instead of making a restaurant reservation, you make a spa or salon reservation. The American equivalent of this service also exists and is called StyleSeat. 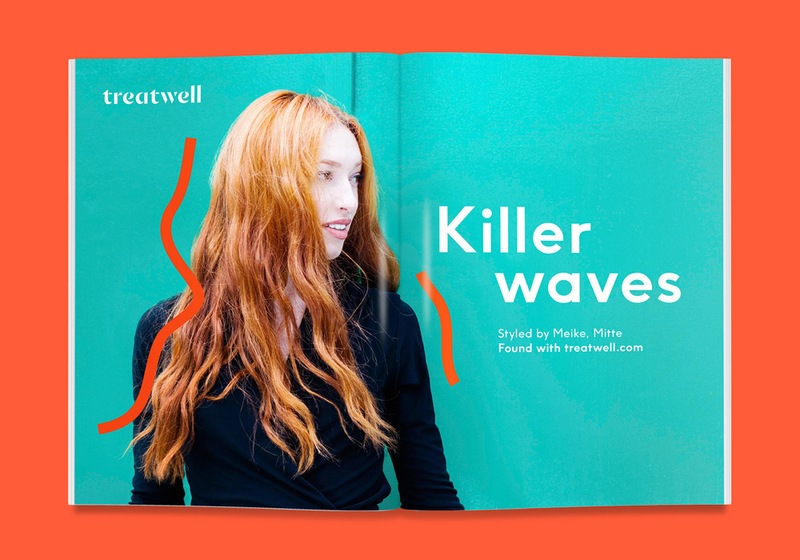 Headquartered in London, Treatwell employs over 500 people across Europe and has over 20,000 salons and spas listed, booked by 10 million people last year. In June of 2015 Wahanda purchased Dutch competitor site Treatwell, that had been around since 2013. I'm guessing market research showed that Treatwell had more equity than Wahanda and may be one of the reasons they changed their name. Alongside the new name, Treatwell introduced last week a new identity designed by London-based DesignStudio.